Today we are starting yet another week of blogging marathon. The theme for this week is Lunch box recipes for the kids. 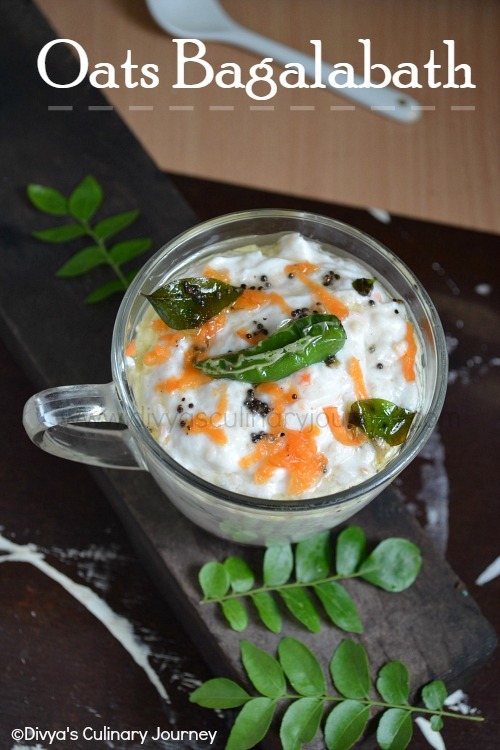 So I am going to post here the recipes of what Thaara likes to carry for her lunch. She is so fond of Pasta. 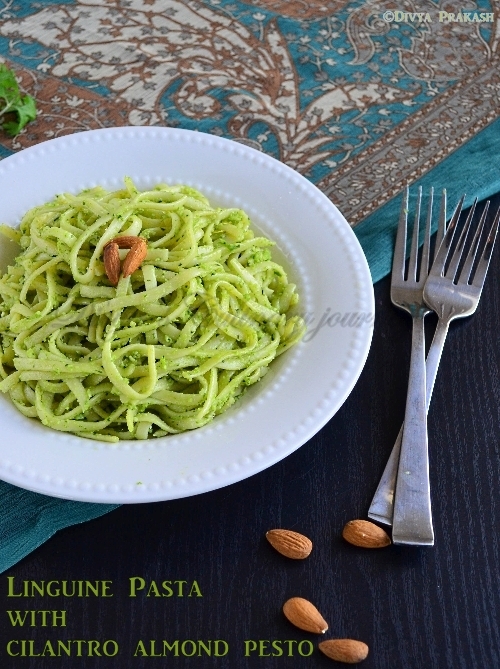 So I made this Linguine pasta with Cilantro almond pesto. She just loved it. Not only her, even my little one enjoyed this. In the cilantro, make sure the thick stems are removed. 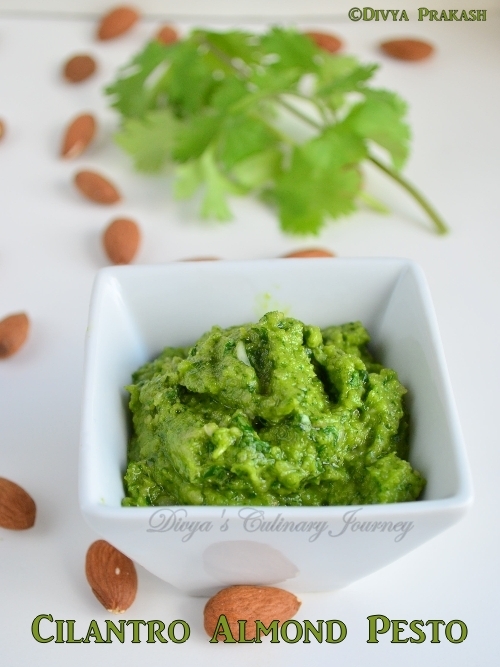 In a food processor or blender add cilantro, green chillies, garlic, almonds, salt and pulse till they are well blended. Finally add the olive oil and continue to pulse till it is smooth. It yields about 1/2 cup of pesto. Cook the pasta as per the package instructions to al dente. Drain the pasta, and return to the pan, add the pesto, Parmesan cheese and mix well and serve. I served this with Baked Fish. But for vegetarian option, you can serve with Roasted Baby Potatoes or any side dish of your choice. It serves for 2 adults and 2 kids or 3 adults. How I blanched the almonds- Take almonds in a microwave safe bowl, pour water to immerse them and microwave for a minute or two. Once it is cooled, peel the skin of the almonds. You can make pesto ahead of time. This pesto keeps well for 2-3 days when stored properly. You can use any type of pasta. I used Linguine pasta. While cooking pasta, add enough salt to the water, so pasta catches flavor and also add oil to the water, so that pasta doesn't stick to one another. 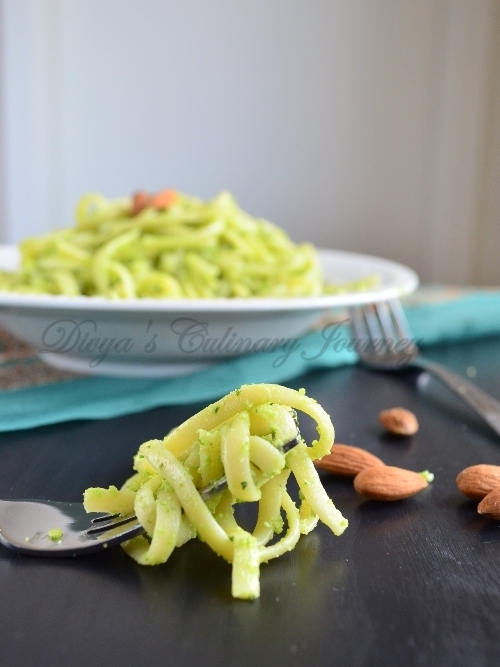 You can toast some almonds, chop them and add to the pasta for extra crunch. Pasta looks delicious and gal nicely presented...beautifully lit.. I know how flavourful this pesto will be, beautiful captures Divya, definitely a kid's delight. I shall try it today all ingredients in hand, love almonds. tried it , we loved it.tnxs for sharing , i am not big fan of walnuts. my favorite way to eat pasta. Green looks so vibrant. Lovely clicks and so flavorful and drool pasta. Lovely.. I call it cilantro pesto and make it with walnuts, but hey as long as it tastes good who cares right ? Amazing Clicks. Pasta looks very delicious.First time here happy to follow u. Green color is tempting me. Looks awesome. Green color looks tempting me. Looks awesome. Healthy and delicious pasta. Love the vibrant green color.